Hi Mike, I fully agree. I am in full agreement with having cleared and properly maintained trails to the common areas for lakefront access to those residents and guests who do not have other access to the lakefront. This access should be inviting, have pavilions if there is room, and there should be a dock at every lakefront access point. It would not cost much money and it would really help. Sitting on the dam at Lake Thunderbird just wouldn't cut it for me if I was someone who did not have lakefront access. Just my opinion. There is frequently unfair (in my opinion) focus on the work projects of the City. We see those work projects as "taxes" being spent. But it is important to remember that SID is itself a legal Government entity by State of Arkansas law. So, it's not like the City is "government" and SID is somehow "private." It isn't. Both are equally forms of State-recognized governance. I have said a thousand times that I am very happy about SID. 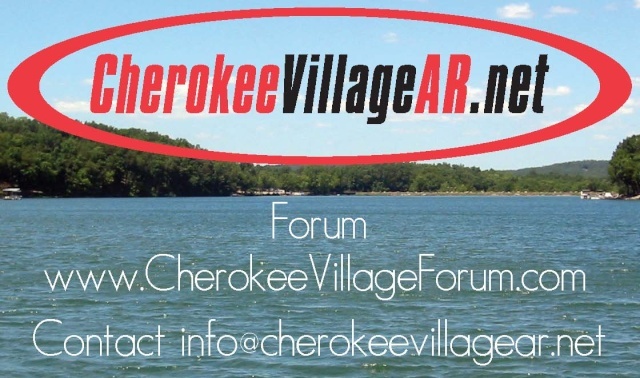 I believe that BOTH the City and SID are in the best interest of Cherokee Village. My point? We focus too much on the City. SID is the bulk of our tax dollars. For the sake of simple fairness and logical consistency, we should spend as much time looking at the work projects of SID as the City. My pet project right now -- or "wish list" item -- is thin paths cut on common property down to the lake edges where these common property strips exist. Let me be clear again. I am happy with BOTH SID and City as needed. I just want some fairness in how these things are discussed here.